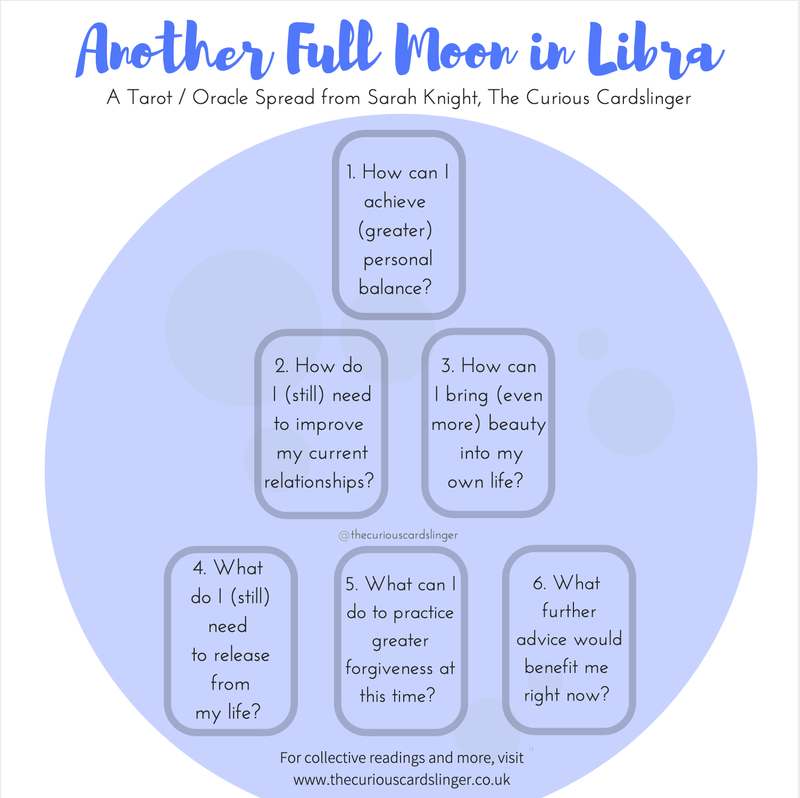 I've already shared my Full Moon in Libra spread but this year we get TWO full moons in Libra, with the second on 19th April. This means you have a second chance to let go of upsets, forgive yourself and others, bring greater personal balance into your life. I'm kidding, of course. You can choose to do this at ANY time, but if you haven't already, this time is as good as any, so why not get on with it?! With this in mind, I've revamped the original to provide you with ANOTHER Full Moon in Libra Spread. As always, feel free to use it in any way you find helpful. I hope you enjoy it! If you're not already following me on Facebook, you may not be aware that I've been periodically offering free one-card readings on my page, based on come of my spreads. If I get time this weekend, I plan to do the same between family 'things'. You can find my page here if you'd like to join us!